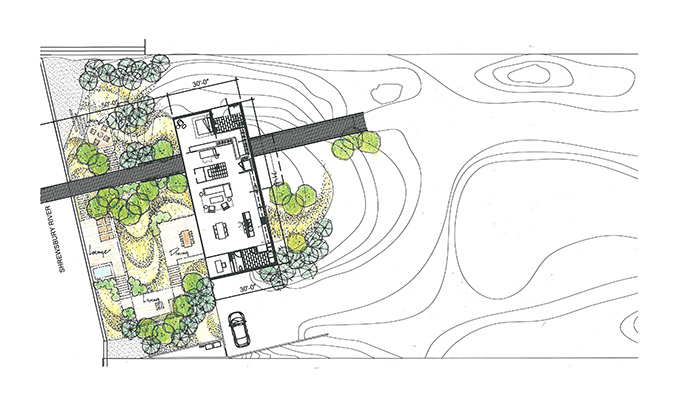 At the project’s outset, the site was a level and barren landscape, physically and ecologically non-functioning. Many beaches along the New Jersey shore are noticeably shrinking, caused by the onslaught of waves and hurricane swells year after year. 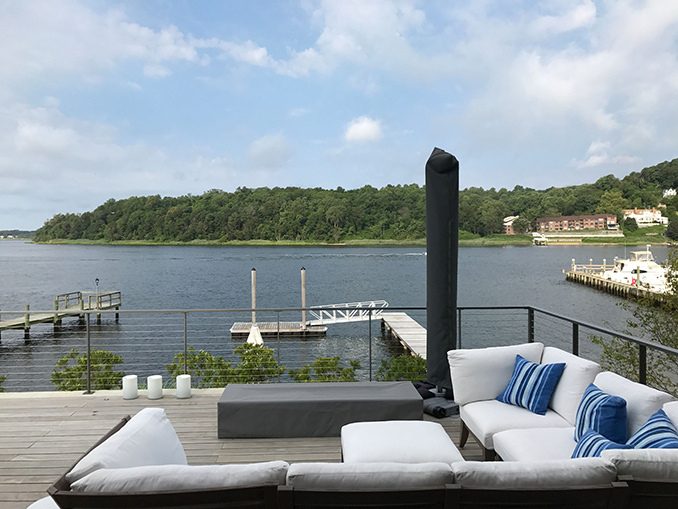 Dirtworks, PC sought to simultaneously address the vulnerabilities of the site while meeting the client’s need for privacy, serenity and respite. 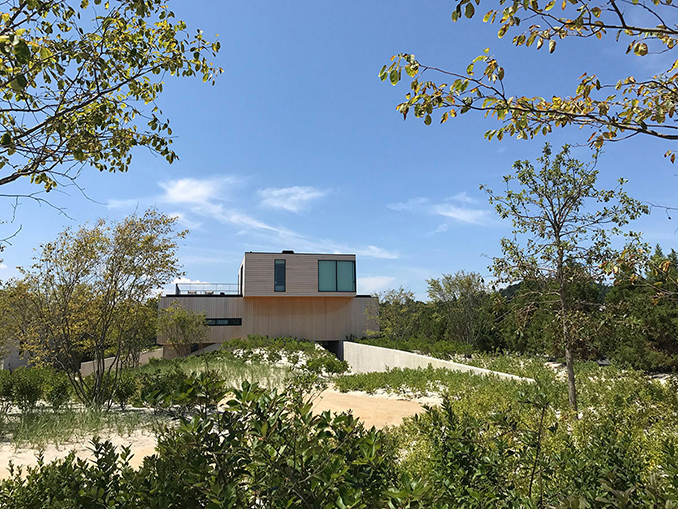 Drawing the poetic from the practical, an entirely new dune landscape was reconstructed to celebrate one’s connection with nature while embracing the vulnerabilities of the barrier island community and addressing the realities of storm surges. 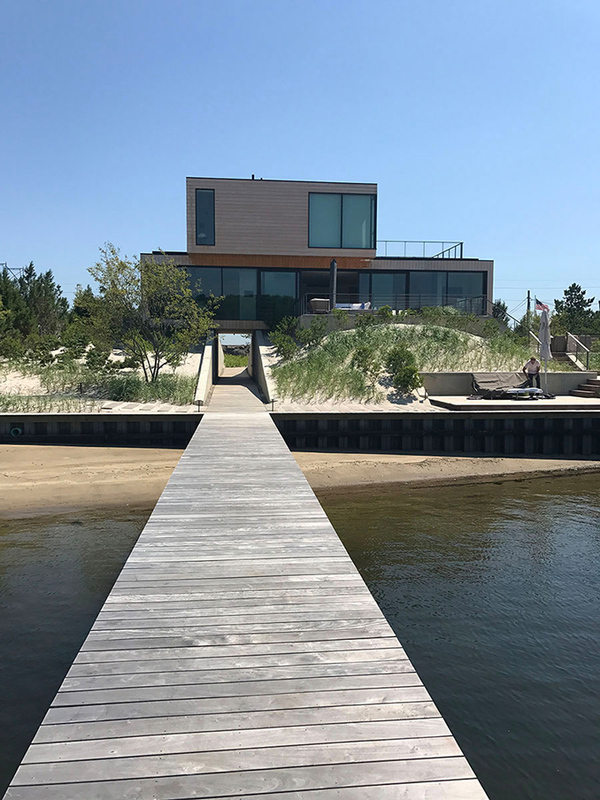 The new dune landscape is an engaging and flood-resilient naturalized setting simultaneously honoring architecture and place and establishing a strong connection between nature and architecture. 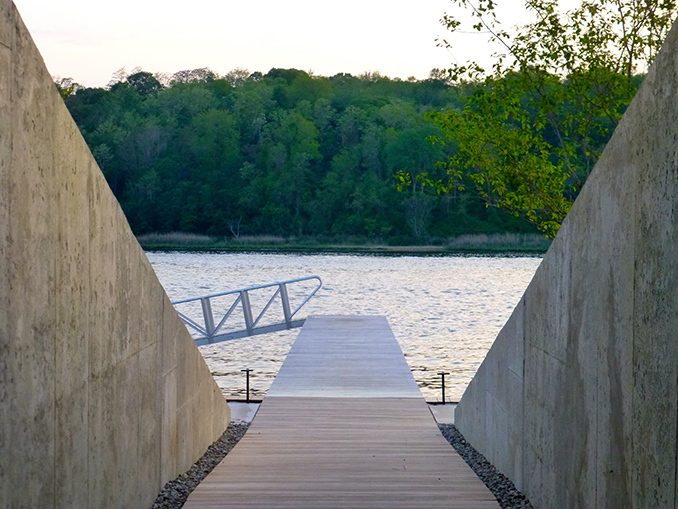 The landscape project involved a particularly dynamic collaboration between the client and the design team to explore the melding of built and natural forms and systems. 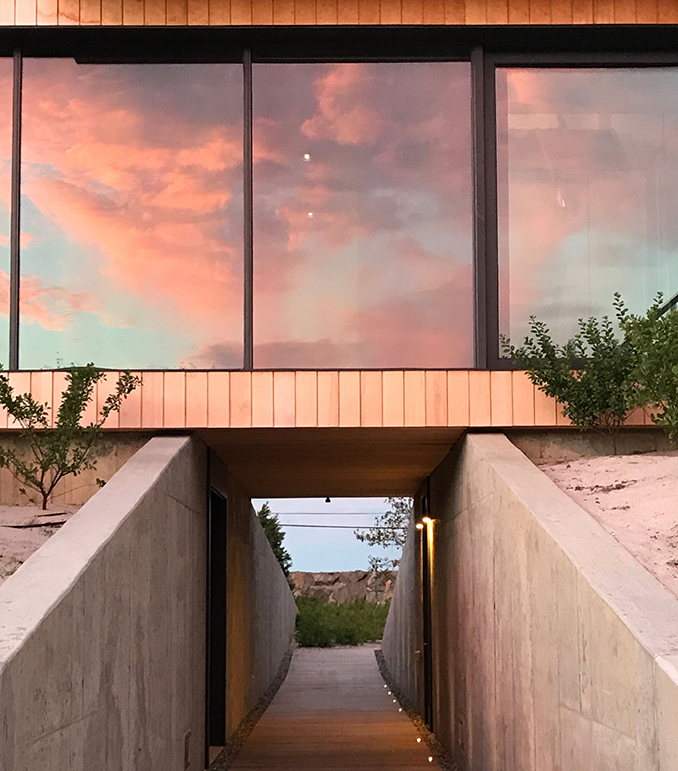 The landscape design aims to create a feeling of symbiosis that draws one physically and emotionally to this fragile and ever changing ecosystem. 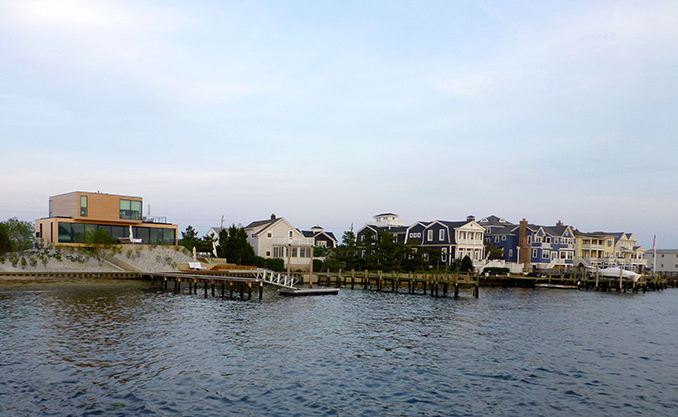 Learning lessons from Hurricane Sandy in 2012, critical wet-flood proofing measures were incorporated in the design to mitigate heavy flooding, property damage and disruption of vital services. 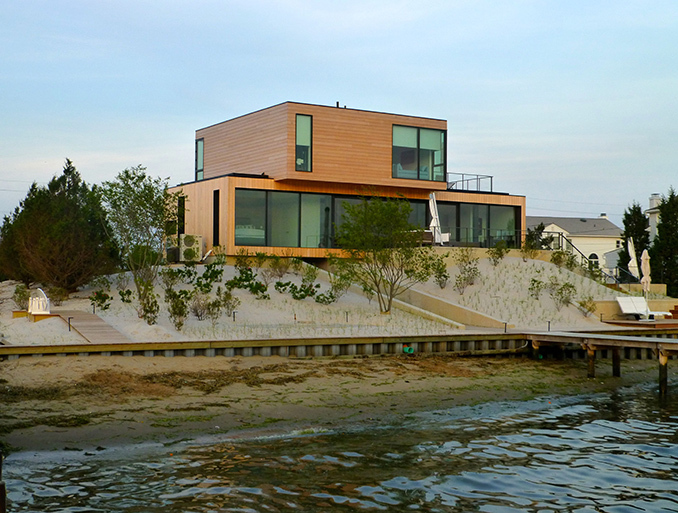 The flood resilient landscape is built outside the sea wall to prevent soil erosion and to stabilize the natural shoreline. 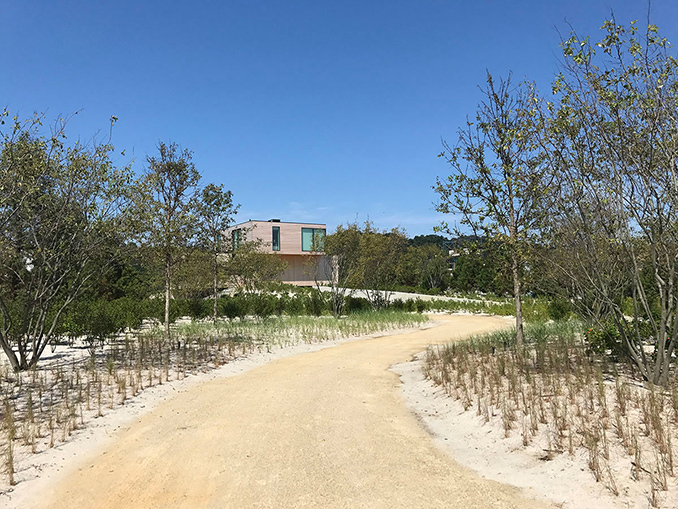 Mindful of its natural setting, Dirtworks PC took the approach “to touch as lightly as possible.” Native plants, establishing a dense network of root systems, surround the site to help the fragile dunes and create a sustainable, flexible approach to long-term maintenance. 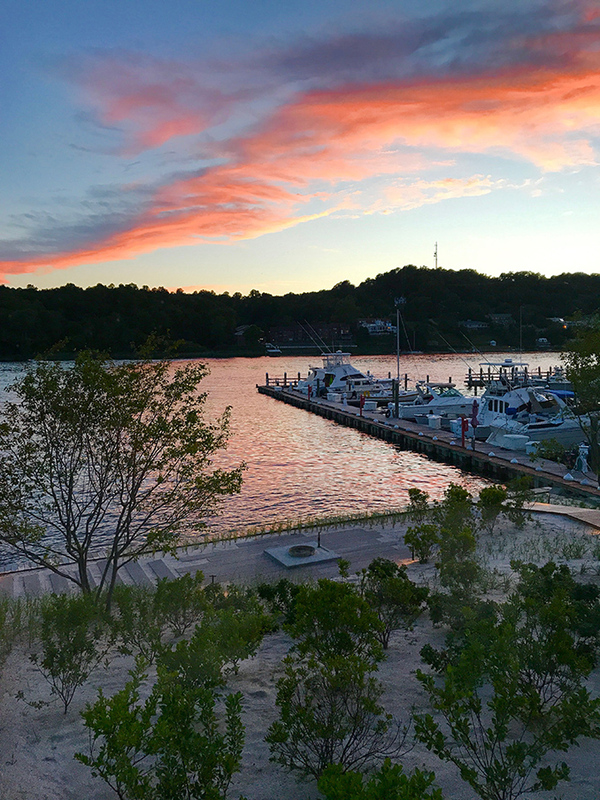 Bioswales are strategically planted to help prevent overwash from flowing directly back to the sea. They also trap stormwater runoff until it can be safely drained into the soil. 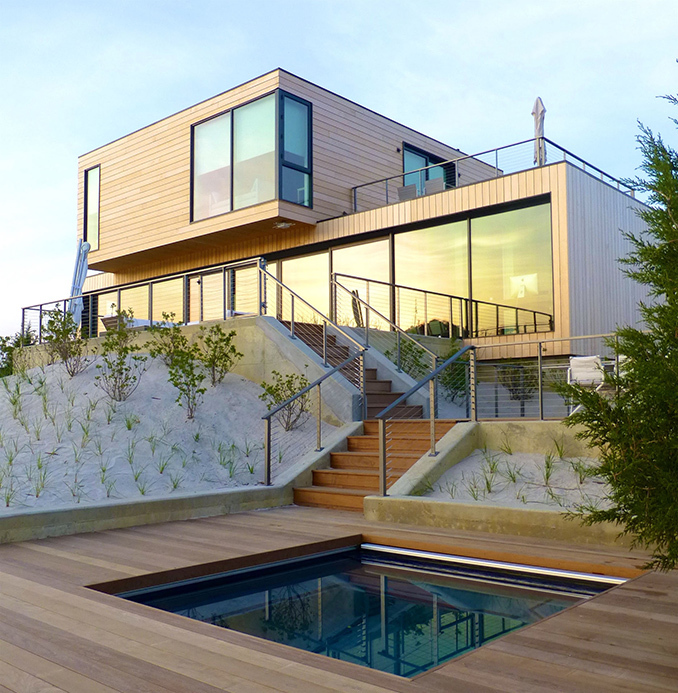 Wood decking can temporarily capture runoff and maximize groundwater recharge, a defense against coastal subsidence. 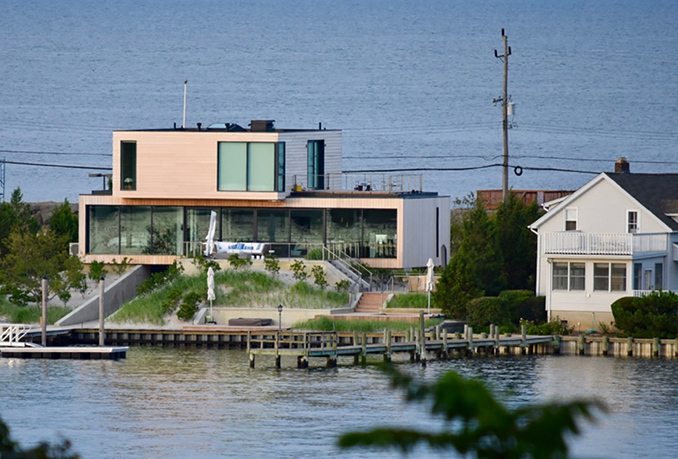 Rising 14 feet above sea level, the residence is accessed through a flood vent that allows for the equalization of pressure from unexpected and rapid surges and flooding. 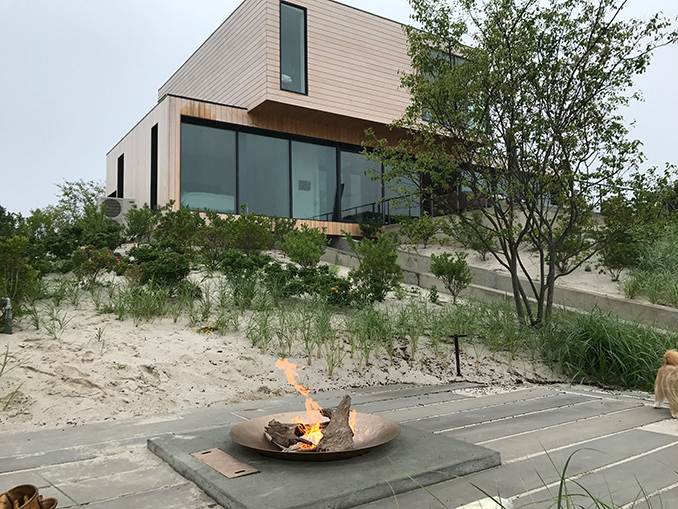 A case study at a residential scale, the project is a testimony to beauty found through the promotion of healthy, functioning natural systems. Great solution and the use of natural plantings in a modern way is very attractive.